As athletes, we often focus on the physical side of sport—the training and the body. However, the mind is a powerful influence over the physical and performance. From mood to food cravings, to sleep and cognitive function, our state-of-mind trickles down to the rest of our body. Start mindfulness in the kitchen with these five recipes full of healthy, brain-boosting, nourishing ingredients. The white and yolk of eggs are a cost effective protein that contain high amounts of omega 3s which can increase blood flow to the brain. 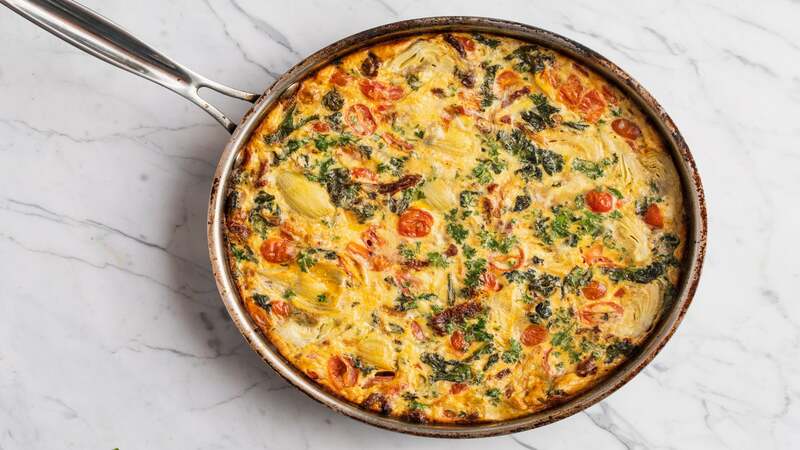 Eggs team up with kale, who’s powerful antioxidants can reduce oxidative stress, in this tasty frittata that can be served for any meal. Heat oven to 450 degrees. Heat 2 TBSP olive oil over medium heat in a cast iron pan or large oven safe skillet. Add ½ sliced yellow onion, season with salt and pepper and cook until browned. Add 4 cups kale and one-pint halved cherry tomatoes, cook 5 minutes. Stir in a 15 oz can quartered artichoke hearts, ½ cup sun dried tomatoes (drained), and 2 TBSP fresh chopped parsley. Whisk together 8 eggs with 1/2 cup 2% milk in a bowl. Season with salt and pepper and whisk in ½ cup Parmesan cheese. Pour the egg mixture into the pan and let cook 2 minutes. Swirl the pan so the egg mixture from the middle of the pan coats the outside of pan. Cook 2 minutes longer and repeat this process one more time. Place the pan in the oven and cook for 12-15 minutes, until puffed and golden. 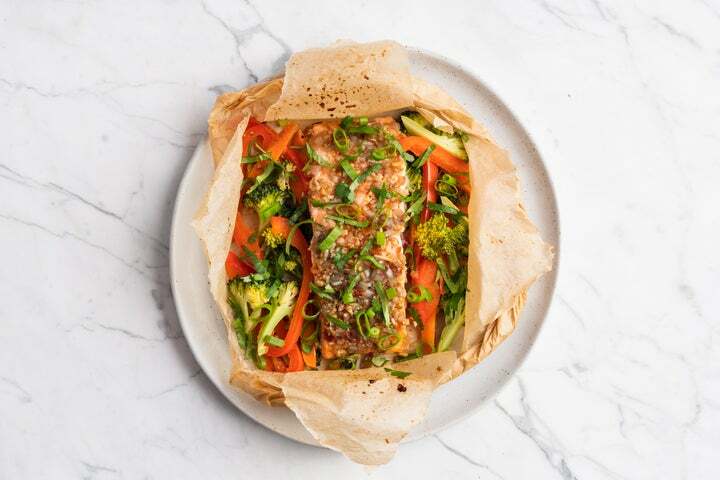 Sounds fancy and tastes fancy, but en Papillote may be one of the most simplistic cooking methods available. Traditionally, fish is put into a packet and baked with veggies and sauce while the steam creates a tender, flavorful meal. Using salmon and broccoli creates a meal that improves cognitive function, memory and decision making as the omega 3s in salmon support brain and nerve cells, while broccoli is rich in antioxidants. Heat oven to 400 degrees. Lay four large pieces of parchment paper or foil on a clean surface. Place 1 – 6oz piece on salmon to one half of each piece of paper. Fold that half of the paper up to create a cavity for the sauce and veggies. In a small bowl whisk together 2 TBSP (each) fish sauce, garlic-chili sauce and fresh chopped ginger, 1 TBSP (each) chopped garlic and prepared lemongrass (or two stalks using the chopped bulb only), and 1 chopped shallot. Pour an even amount of sauce over each piece of salmon. Thinly slice 2 cups broccoli florets, 1 carrot, and 1 red pepper, divide the veggies evenly over the salmon, and season generously with salt and pepper. Fold the other half of the paper over the fish and veggies and seal by rolling the edge of the bottom half of the paper over the top half. Bake for around 10-12 minutes, depending on thickness of fish, and remove while slightly underdone in the middle. Let cool 2-3 minutes, and then cut packet open with kitchen scissors. Garnish with fresh chopped cilantro and green onions. Decadence can be had without paying the price from a dessert loaded with sugar and unhealthy fat. Berries are nature’s little superfood, naturally sweet, plump and full of antioxidants to keep the brain healthy and functioning on point. Chill a 14 oz can of full fat coconut milk in the fridge overnight. Chill a large bowl and your mixer’s whisk attachment in the freezer for 15 minutes before making. In a large bowl, add 1 cup (each) sliced strawberries, blackberries, blueberries and raspberries. Toss the berries gently with ¼ cup soda water, 1 TBSP maple syrup and the zest of one orange and lemon. 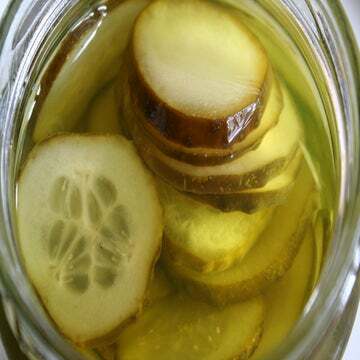 Let marinate for 20 minutes, or up to overnight. Open the can of coconut milk and remove only the solid and hardened coconut cream into the chilled bowl. Whisk on medium high for 2 minutes until fluffy. Remove the pods from one vanilla bean and add those along with 2 TBSP maple syrup and ½ tsp salt. Whisk 2 minutes longer. 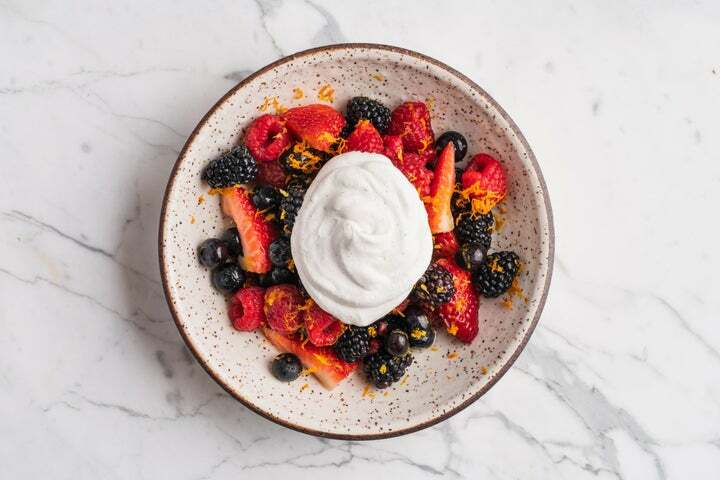 Serve the berries with the coconut cream on top. Yes! Another reason to eat dark chocolate: cacao flavonoids are good for your brain. Walnuts have also been shown to be the top nut for brain health by improving cognitive function. 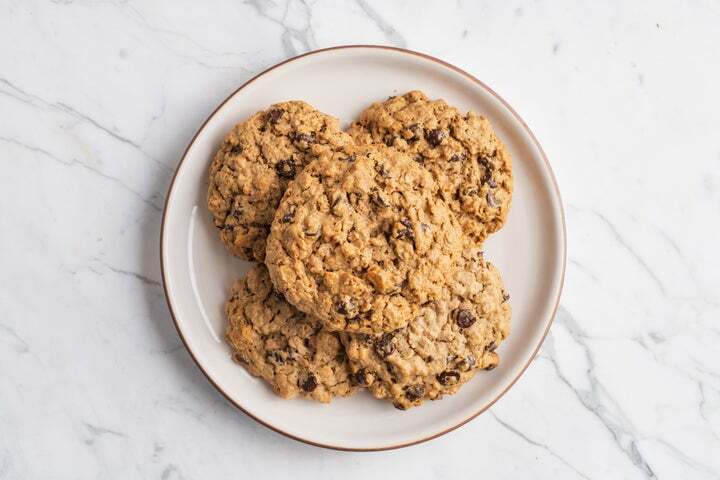 These cookies also contain almond butter and whole grain oats, additional brain boosters. Heat oven to 325 degrees and line a baking sheet with parchment paper. In a bowl, whisk together two eggs, ¾ cup almond butter, ½ cup pure maple syrup, ⅓ cup melted coconut oil, and 1 tsp vanilla. In a separate bowl, stir together 2 cups oats, 1 cup oat/rice flour, 1 tsp (each) baking powder, baking soda, and salt. Combine the dry ingredients with the wet ingredients and then stir in 1 cup 70% dark chocolate chips/chunks and ½ cup chopped walnuts. Using an ice cream scoop, scoop 12 balls onto the baking sheet. Bake for 18 minutes. Let cool for 15-20 min on the sheet, remove and keep in a sealable container. When you think of healing and nourishing food, turmeric and beets should be on the top of the list. They are strong, natural anti inflammatories that assist with both recovery and brain health. In a skillet, heat 2 TBSP olive oil over medium-high heat. Sauté ½ diced yellow onion, seasoned with salt and pepper for 5 minutes. Add one-cup white wine and 1-15 oz can garbanzo beans (drained), and let bubble until the liquid is gone. Stir 2 tsp turmeric powder and ½ tsp garlic powder in. Transfer the mixture to a food processor, along with ¼ cup oats and 1 TBSP almond butter, and process until smooth. Grate one large beet (or two small). Add the beet to the food processor and pulse a few times until just combined with the garbanzo mixture. Season with salt and pepper and form 4 patties. Heat 1 TBSP olive oil over medium heat in a skillet. Cook the patties 5 minutes per side. Smash one avocado with lemon, salt and pepper. 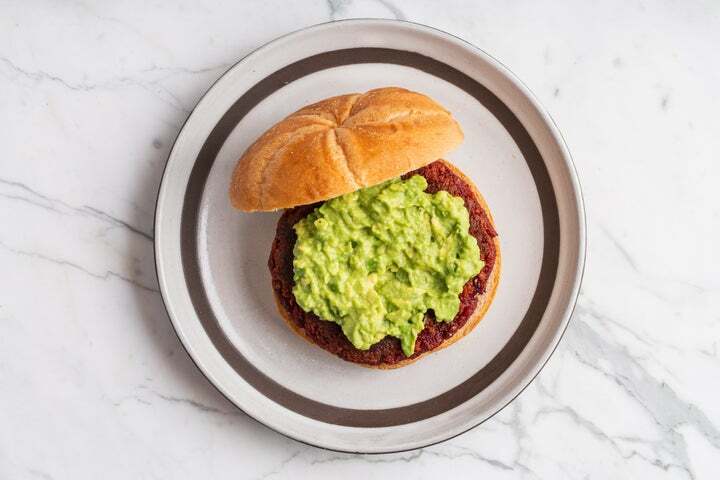 Serve patties on a toasted bun or over a salad with the avocado smash on top.